After a seven-day trial before a judge, a corporal and two deputies are cleared of wrongdoing. In late-breaking news Tuesday afternoon, Jefferson County Circuit Court Judge Daina Vitolins found three Jefferson County corrections officers not guilty of criminally negligent homicide. The decision followed seven days of testimony in the Circuit Court, from Nov. 26 through Dec. 4, when medical experts for the prosecution and the defense reached very different conclusions in the trial of Cpl. 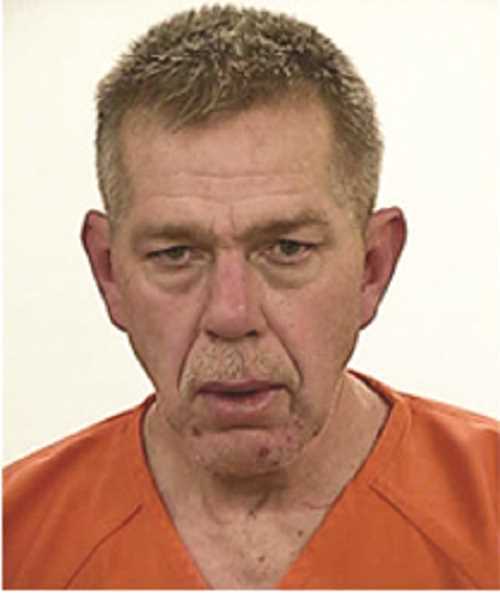 Anthony "Tony" Hansen and deputies Michael Durkan and Cory Skidgel, who were charged with criminally negligent homicide for failing to get medical assistance for an inmate, James Eugene Wippel, 59, who died April 26, 2017. "My deputies will be going back to work as soon as I can make contact with them and finish up some paperwork," said Jefferson County Sheriff Jim Adkins, who felt the intensity and emotion in the courtroom. "It's a relief that the deputies were found not guilty of these criminal charges and it's a relief for my whole entire office; now my office can move forward, and we will be better off having gone through this experience." "From the beginning, I did not believe they were guilty and I stood by them the whole way," said Adkins, who was present for most of the proceedings. "It's only by the grace of God that we got this verdict; we've been praying about this for a year and a half. Now my office can start to heal." The three had pleaded not guilty to the charge on April 19, and were on paid administrative leave until the verdict. On Thursday, Nov. 29, Dr. Larry Lewman, who performed the autopsy on Wippel, testified that the cause of death was a perforated duodenal ulcer. "He died of a chronic perforated ulcer, which blew out in the jail," said Lewman, a forensic pathologist, who has worked for the Oregon Medical Examiner's Office for the past 46 years. Lewman said that Wippel's ulcer, which had "probably been bleeding for a long time," had "eroded all the way through the full thickness of the duodenum; that doesn't happen very often." In addition to the opiates and methamphetamine in Wippel's system, Lewman found "about 1,500 cc of blood" — a little more than three pints — mixed with the gastric fluid in Wippel's stomach. Wippel, of Portland, died two days after he was arrested by an officer from the Warm Springs Police Department shortly after the officer was dispatched to the parking lot of Indian Head Casino at 3:42 a.m. April 24, 2017, to check out a report of drug use observed in a black Mercedes. The first officer on the scene approached the vehicle, and saw Wippel alone in the vehicle, with a large, glass smoking device with brown residue plainly visible on the center console. Another officer arrived and reviewed video from security cameras, which showed Wippel lighting and smoking from the device. A test showed the residue was likely methamphetamine, and Wippel was arrested for unlawful possession of methamphetamine, and transported to the jail, in Madras, where he told the arresting officer that he had about a gram of heroin inside his backpack. Corrections staff searched his backpack and found a syringe with a dark brown liquid and a baggie with three large black heroin rocks, along with a baggie full of small pill pouches, and $4,408 in cash. Wippel was charged with unlawful possession and delivery of heroin, and lodged in the jail. During questioning, Lewman, who estimated that he had performed around 10,000 autopsies during his career, was asked if he'd been told that Wippel was a longtime drug user, and responded, "They told me and it was obvious when I looked at him." Clackamas County Chief Deputy District Attorney John Wentworth and Senior Deputy District Attorney Bill Golden, who prosecuted the case at the request of the Jefferson County District Attorney's Office, also called Dr. Richard Bochner, a gastroenterologist on staff at St. Charles Bend and Redmond, as an expert witness. Wentworth reviewed the symptoms seen by deputies Skidgel and Durkan when they checked on Wippel around midnight, and Wippel was rocking back and forth and said he had vomited blood; at 2 a.m., when he was lying in bed with a small pool of blood on the floor beneath him; at 4 a.m., when he was in a fetal position, rocking back and forth in pain; and around 5:20 a.m., when there was a larger pool of blood on the floor, and Wippel had defecated himself. Bochner said that all the symptoms, except vomiting blood, could be associated with drug withdrawal. "It's fairly straightforward that vomiting blood is not normal," he said. At 5:20, the deputies moved Wippel from his cell to another cell to change his clothes, and to a third cell so they could observe him more closely. Asked if Wippel was critically ill at that point, Bochner responded, "Yes, this patient is probably critically ill," adding that although there is no guarantee that medical care will save his life, it would have been "very reasonable to get him medical care at that point." Without medical care, Bochner suggested that there would be "a very high chance" Wippel would die. "There is a substantially better chance of survival with medical care than without." On Friday, Nov. 30, Shawn Gaddy Winsor, a registered nurse who serves as the nurse for the Jefferson County Correctional Facility, testified that when she arrived around 8:15 a.m., Wippel's heartbeat was rapid, and he had tenderness in his abdomen. "It made me wonder if there was an infection," she said. Around 8:30 a.m., she consulted with Undersheriff Marc Heckathorn, who had also arrived around 8:15 a.m., and decided that Wippel should go to the emergency room at St. Charles Madras. Heckathorn said he would get a car to the sally port outside the booking area. "(Wippel) was able to stand on his own power," said Winsor, adding that he "walked with a bit of a shuffle" and made a few groans. Wippel, who had changed his own clothes, stopped when he got to the first stool in the booking area, where he sat down, she said, noting that his skin was cold and his breathing rapid at that point, and he needed support. "I discussed it with Undersheriff Heckathorn, and he decided to call an ambulance," she said. The call to dispatch was made at 8:39 a.m., but Jefferson County Emergency Medical Services wasn't dispatched until seven minutes later, at 8:46 a.m., according to testimony from paramedic Jeshua Wagner, who arrived at 8:54 a.m. with his partner, Curtis Terry, also a paramedic, who was new that day to JCEMS. "When we got on the scene, I saw the patient sitting at a stool at the counter ... kind of slumped down," said Wagner, recalling that people were talking to Wippel, who seemed to be listening and coherent, as he gathered Wippel's medical history. By the time they got him on the gurney, Wagner said that Wippel's pulse was "really weak," his pupils were constricted and not responsive to light, and he was not breathing. "He had some agonal respirations," said Wagner, explaining that he appeared to be breathing, but it seemed to be more of a reflex. "Our monitor was not reading a blood pressure; we think it was really low." "We decide he's in critical condition, and we need to get control of his breathing," said Wagner. Since the airway equipment was in the ambulance, they got Wippel into the ambulance in the jail's bay. Once out there, he said that Wippel's heart started beating faster, but he did not have a pulse, so they used a defibrillator to apply an electrical shock to jump start Wippel's heart, but it didn't work. In the meantime, they called for another ambulance, which he said arrived in six or seven minutes. "When in a code situation, we need more than two people," he said, pointing out that with one person doing chest compressions and one working on putting in an airway tube, neither could drive to the hospital. They continued with the cardiopulmonary protocol for cardiac arrest, and called the medical director at the hospital who agreed with their assessment of the situation. "He said do one more cycle and call it," said Wagner. They stopped resuscitation and called time of death at 9:31 a.m.
During that time, Winsor said that she believed the ambulance had left, but heard a radio call and realized it was still in the jail's sally port. Quizzed about her background, Winsor said that she spent about 20 years working in the emergency room, and was a public health nurse and director of nursing at Indian Health Services in Warm Springs for about 22 years. Detoxing, she said, is "pretty miserable, like a really, really bad case of the flu." Based on Wippel's symptoms — abdominal pain, sweating, muscle pain, vomiting and diarrhea, Winsor said that the corrections officers "did what they were supposed to do." Vomiting blood would be "concerning," she said, "if it was mostly blood and not fluid." Under questioning from Wentworth about what she would recommend if an inmate were vomiting blood and if blood were on the floor, she said, "Call EMS." Attorney Dave Glenn, representing Hansen, asked what she would say if Wippel were walking down the hallway and said he'd made himself vomit, and wanted to make a phone call so he could make bail? "I would say you don't need to call EMS," she said. Hansen was also represented by Marcus Gipson, of Madras, Skidgel by Prineville attorney Jennifer Kimble, and Durkan, by Rob Bletko and Dan Thenell, of Portland. Testifying for the defense, Dr. R. William Bennetts, a gastroenterologist, said that he believed that the deputies made the right decisions. "This is not unusual — vomiting, some blood, funny bowel movements ... Most who have gone through withdrawal have those symptoms," he said. "Going immediately (to the emergency room) is not necessary." Bennetts said that a person should get to the hospital within 12 hours of perforation of an ulcer. "He died sooner," said Bennetts. "The standard is getting to surgery within 12 hours." A perforated ulcer is not a common ailment, he added, noting that "there's no reason for you to know anything at all about it." "You would agree that the defendants could not and did not cause Mr. Wippel's death?" asked Thenell. The final defense expert on Monday was Dr. Andy Mendenhall, an addiction treatment specialist who runs the Hooper Detox Center in Portland, and has dealt with about 1,100 patients with opioid use disorder over the past 13-plus years. Mendenhall spoke about the symptoms of withdrawal and what observers would see in the 12 to 48 hours after last using an opioid, such as heroin. "People feel very poorly, but there's no real medical risk, except for dehydration," he said, comparing it to alcohol withdrawal, which can be fatal. Mendenhall said that 1 to 1 1/2 grams of heroin was a large dose, and "intravenous administration creates a tenfold multiplier effect." Responding to a question from Thenell about what a day would look like for someone who had used that amount for about two years, Mendenhall said, "Most of their day is in preparation, use or recovery from a substance ... They're always using to chase off physiological withdrawal symptoms." Referring to the clinical opioid withdrawal scale, Mendenhall said there would be extreme fatigue, particularly as a result of methamphetamine withdrawal, increased anxiety, sweating, a runny nose and diarrhea in the first 24 hours. During the next 24 hours, in a nonmedically managed patient, such as Wippel, all the symptoms would get worse, and there would likely be body aches, shivering, shaking, chills, nausea and abdominal contractions. "Many have all the symptoms I described, and they feel terrible," he said. Asked about blood in vomit or bowel movements, he said that it's common, since the person could have a bloody nose that drips down to the stomach or hemorrhoids. "It didn't seem like these symptoms were being ignored or minimized in any way," he said, noting that Wippel was moved closer to the deputies for observation, and was offered Gatorade, which he took, water and food. Mendenhall did not feel that they should have called 911 prior to 8:30 a.m. "He had a blood pressure and he was able to walk under his own power." Wentworth asked Mendenhall if he believed that Wippel's death could have been prevented, and Mendenhall replied that he did not know. 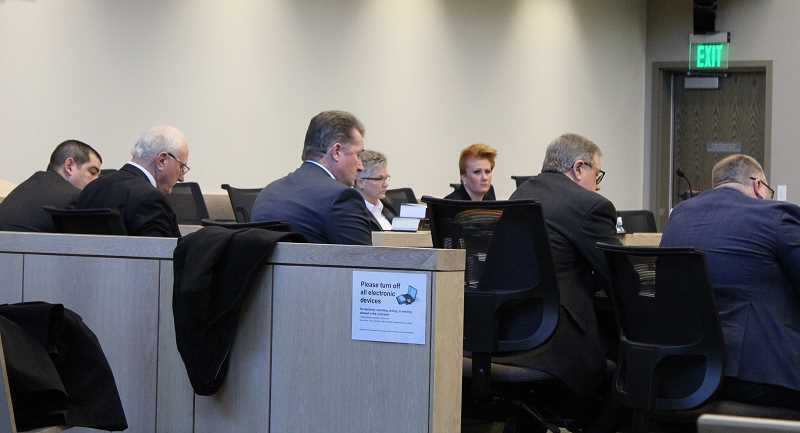 Sheriff Jim Adkins and Undersheriff Marc Heckathorn were quizzed about jail procedures, and assured prosecutors that the corrections officers could call 911, but there is a chain of command. Golden asked if Adkins would expect officers to act differently if such a situation occurred again. "Knowing today what I know, yes. Hindsight's 20/20," said Adkins. "He could have been faking. He was moved to a clean cell to see if it continued." The next day, they sent an email to staff to make sure they know that they can call for medical assistance. "We went back to make sure they know they could call 911," said Adkins. "We want to make sure they know they could spend the money. It didn't mean we were wrong to begin with." The trial continued on Tuesday afternoon, when Judge Daina Vitolins denied a motion, filed by Dave Glenn on Monday, to acquit the deputies, citing the testimony of Dr. Richard Bochner. Adkins said that JCEMS Chief Mike Lepin was called to the stand after 1 p.m. on Dec. 2, and then both prosecution and defense presented their closing arguments before resting their cases. At 3:15 p.m., Adkins said that Vitolins left to begin deliberating, and returned to the courtroom 45 minutes later with her final verdict. Hansen, Durkan and Skidgel, who had dozens of supporters in the courtroom, were found not guilty of all charges.